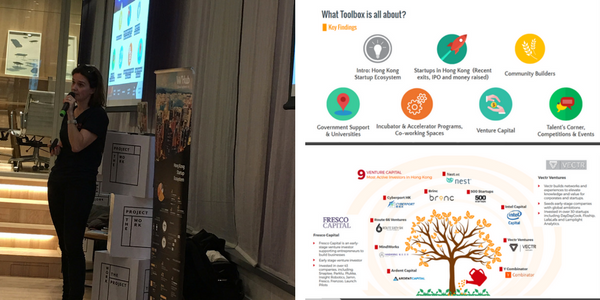 We organised the second edition of “Hong Kong Startup Ecosystem- Insights & Trends” @The Work Project on January 25th. 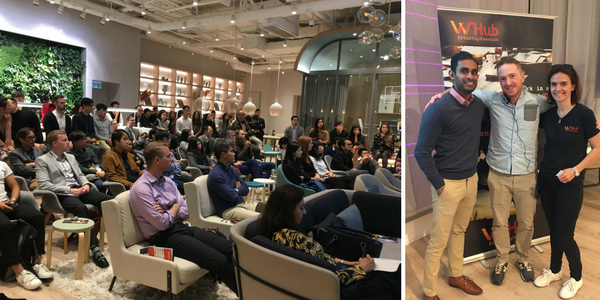 Showcasing and celebrating the blooming HK startup scene, the event united key community builders to presents insights and trends about startups. The evening started off with people networking and mingling, with drinks and pizza of course! Belin Karena, co-founder of WHub initiated the speaker session with showing us what the Hong Kong Startup Ecosystem Toolbox white paper V2.0 (125 slides) is all about, discussing the overall local startup ecosystem, importance of community builders and active venture capital investors in Hong Kong. Nio Liyanage, Head of Startup Strategy at Nest vc. 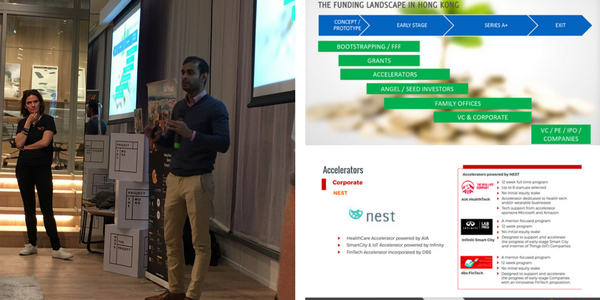 displayed some impressive insights on the funding landscape for startups in Hong Kong in respective stages and advice for startups to overcome the funding gap. 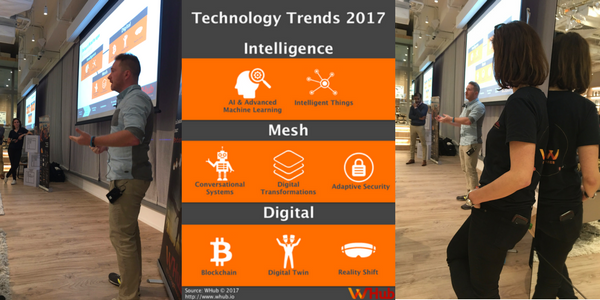 Gram Milosevic, Alchemist and CTO at WHub presented to us the 2017 key technology trends and had our minds blown away with all the cutting-edge technology concepts. "These are the types of news that we need in Hong Kong to show that we can also have homegrown stars." What are the trends, industry and sectors that are able to attract money? Karena emphasised that E-commerce is one of the largest vertical here in the Hong Kong startup industry, with over 20%. Hong Kong's fashion discovery startup Goxip, the winner of the "Breakthrough HK" during RISE 2015, has raised US $1.62M seed funding. On the other hand, Hong Kong as a Logistics Hub showed that this industry is also a key player for our startups in the region. Lalamove with their most recent round of US$30 million funding are announcing to go IPO in two years. "Don’t consider corporates competitors necessarily, consider them in many cases potential partners." Nio pointed out that corporates are realising the benefits of real innovation in startups. In many cases, startups are able to partner up with corporates and either leverage their customer base, their capabilities, or their money. In fact, 68% of the top 100 companies from Fortune 500 are having their own corporate venture arms. For all the founders or potential founders of startups, Nio expressed that it is crucial for startups in early stages to focus on testing the market, building something basic, acquiring customer and showing customer growth. "When you are considering fundraising, have the mentality that you are not selling just an idea. It is important to demonstrate execution capability and tangible signs of growth in terms of ROI." "You want this real life experience. It's not just about the technology itself but how we are interacting with it today." Gram talked about Advanced Machine Learning and Intelligent Things. He mentioned technology should be able to cater for real life experiences. Coffee machines should automatically make your coffee when you stop the snooze button but not when the alarm goes off. Reality Shift, also known as AR or VR, is something that has breached a new era of how we interact with mobility instead of just interacting with your phone. And Mesh is the idea of bringing everything together seamlessly, from your computer to your phone and all your other devices. "It is not necessary that startups have to be doing those things by themselves. But if you are doing in startups, what can you leverage from this new era of technology?" 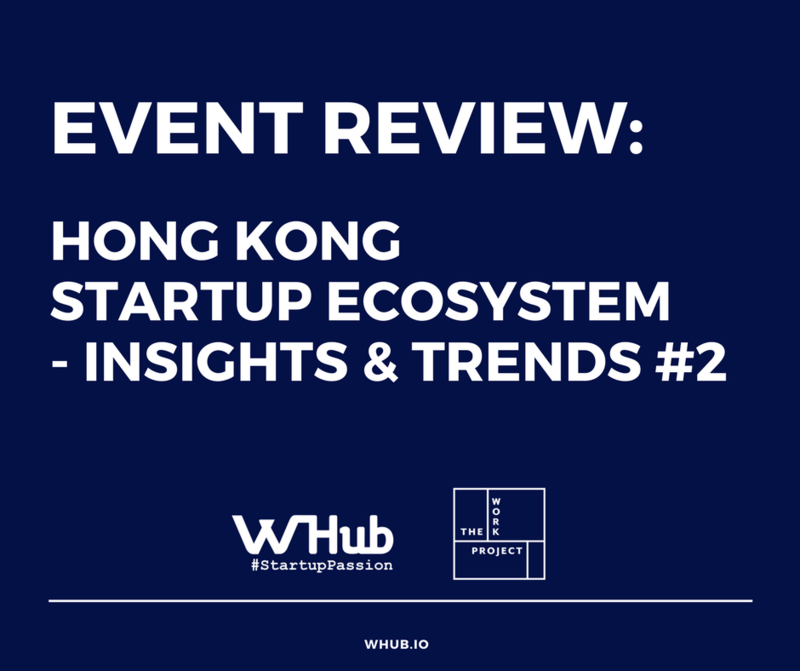 Interested in learning more insight and trends related to the Hong Kong startup scene? We are working on our "HK Startup Ecosystem Toolbox V3.0"! Stay tuned! Click here to subscribe our weekly newsletter! And follow us on Facebook and LinkedIn to get updates on startup events and news!